Wine pleasure is about more than what's in the glass. As a sommelier, I’m frequently confronted with the question: “What’s your most memorable glass of wine?” Perhaps the person posing the question is looking for fodder to fuel their quest for their own perfect glass. Willingly, I oblige and give a short list of wines that have recently moved me. But, it’s not quite that simple. That kind of fervor and appreciation for what’s purely in the glass isn’t in all of us, all of the time. It depends on your current personal preferences, your internal life-satisfaction meter and your own opinion of your standing in it. It boils down to much more than how rich, powerful and polished a Napa Cabernet can be or how seductive great Pinot Noir is. All wine experiences are highly subjective. A wine that’s highly regarded will taste mediocre if everything you hold sacred has recently been shaken and turned upside-down. The season also plays a vital role. If it’s melt-your-shoes-to-the-pavement hot, a dense, fruit-driven, heady Zinfandel will taste like pancake syrup. A well-chilled, crisp New Zealand Sauvignon Blanc would better fill the bill. But don’t stop at matching wines to the season; match them to the occasion. If you’re celebrating a special anniversary or a graduation, splurge a little. Splurging, of course, is relative. If $10-$15 per bottle is your sweet spot, then with a little guidance and a $25-$30 expenditure, what’s poured in a glass should impress. Flavor perception is more than half about aromatics; think about how you hold your nose to take vile, liquid medications or how everything tastes like cardboard when you have a cold. Proper stemware highlights a wine’s aromatics and flavors. 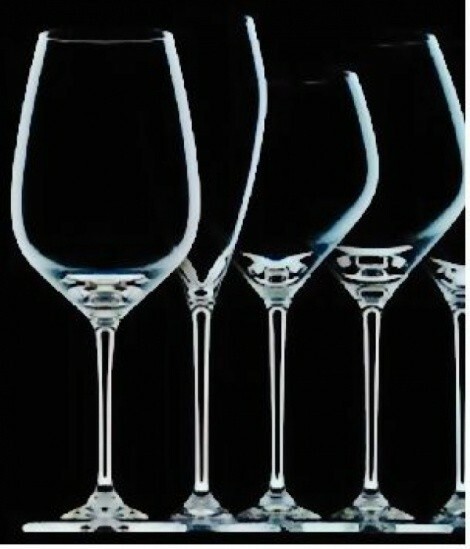 The Riedel Company has been refining itsfunctional stemware for more than 50 years. So do yourself a favor and head to Target or Sur La Table and treat yourself; the difference in pleasure is profound. Wine professionals often engage in sterile, objective tastings to educate their palates. As a sommelier, I appreciate and understand the importance of objectivity and wine-tasting marathons. It’s great for training your palate to the nuances and styles of grape varietals and regions, but it can also be arduous. At a recent tasting, I gave my honest opinion of a wine, as I do too often to a fault: “It’s over the hill, and careening towards a ditch,” I said. “You’ve got a Cabernet palate,” the defending Pinot-phile proudly rebuked. It was a 1988 red Burgundy I had defaced. I was feeling ornery and the wine was thin and boring. There was no synergy between my palate and the wine. Mood matters. Wine is a beverage of pleasure. When you get a good one—a wine that meets your current taste preference and it happens at a time when the planets are perfectly aligned—you’ll know it. The more time we take to enjoy the finer things in life— friends, family and fine wine—and pay less attention to the minutiae of daily strife, the more frequent those inspiring wine moments will be. Louis Koppel is sommelier at Spencer’s for Steaks & Chops.